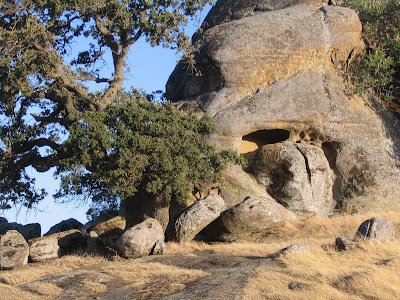 I’ve heard great things about Vasco Caves Regional Preserve and we just got some big news: East Bay Regional Parks District has just acquired more land for it. unanimously agreed to purchase 1,644 acres adjacent to Vasco Caves Regional Preserve in the Byron area of unincorporated Contra Costa County. The property, which is just north of Vasco Caves and east of Los Vaqueros Reservoir, is being acquired through a partnership with the East Contra Costa County Habitat Conservancy (Conservancy). This acquisition is the Park District’s fourth joint project with the Conservancy, which was created to identify, preserve and restore high priority land areas with significant habitat for protected species. The Park District is acquiring the property from owner Vaquero Farms Conservation LLC for $2,924,000, its appraised fair market value. An option-to-buy payment of $500,000 has already been made, of which the Park District and Conservancy each provided $250,000. The balance of funding will consist of another $250,000 from the District and $2,174,000 from the Conservancy. The property includes rolling grasslands with intermittent streams and ponds. It is of particular interest to the Conservancy because of the potential for the creation, enhancement and restoration of wetlands and special status species habitat including the California tiger salamander, California red-legged frog and western burrowing owl. The property has several conditions which will affect its future uses and management particularly wind turbines subject to wind leases. Presently, there are also more than 190 wind turbines on the property, owned by Tres Vaqueros Wind Farms and North Wind Energy. Many of these are not working, but Tres Vaqueros is in the process of obtaining permits to remove all of its older, smaller turbines and replace them with fewer, larger ones. The turbine facilities are allowed under permits granted by the county in 1984 and 1985. The Park District will obtain no mineral rights, wind rights or turbine revenue from the deal, but Tres Vaqueros has agreed to work with the District to site the new turbines in such a way as to minimize avian deaths resulting from collisions, an issue about which Park District board members have expressed major concerns. Because of the wind turbine operations and sensitive wildlife habitat, the new property will be kept in land bank status, closed to the public, until made safe for public access. For a detailed description of a what you can see on the guided tour to Vasco Caves Regional Preserve (the only way you can currently explore the area), see Gambolin’ Man’s excellent essay/blog post. Courtesy of Gambolin’ Man’s blog.